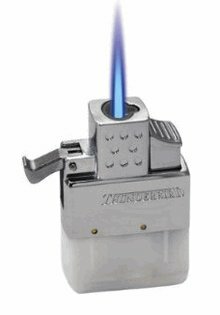 Cigar smokers will enjoy the torch lighter insert for it's powerful, windproof flame without the smell and hassles of liquid lighter fluid. 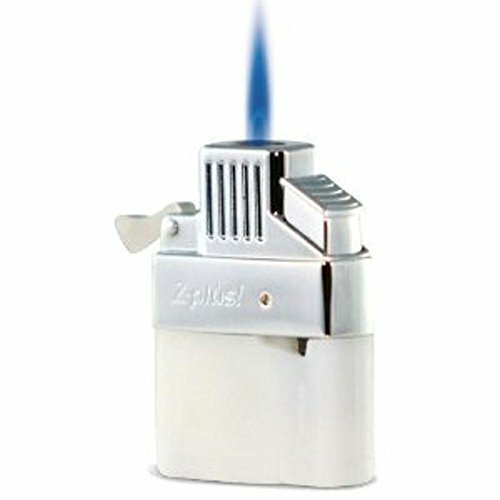 Best of all, you can enjoy the security of KGM's Lifetime Guarantee on the product. 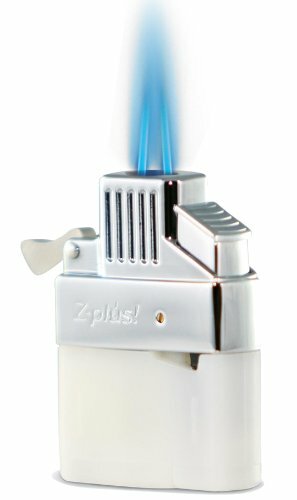 Keep your favorite lighter style while adding the modern convenience and reliability of a butane fuel-powered torch flame. 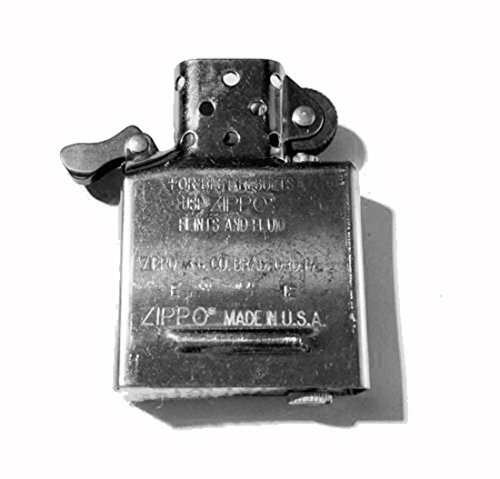 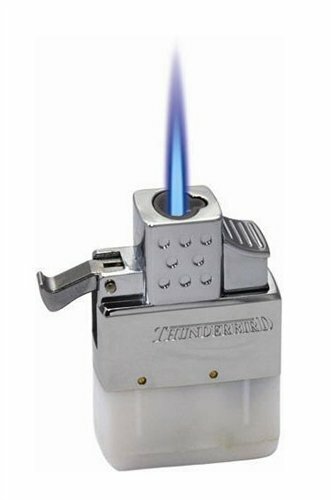 The Thunderbird Torch Lighter Insert features: Fits Most Popular Liquid Fuel Lighter Cases including Zippo (except for slim-line Zippo lighters) Piezo Electric ignition system Butane Refillable, No Odor, No Mess, and it won't evaporate Powerful single torch flame is perfect for quickly and evenly lighting even larger ring-gauge cigars without the usual gas odor tainting Lock works with most popular lighter cases Makes a great gift for the Millions of flip top lighter collectors Worldwide! 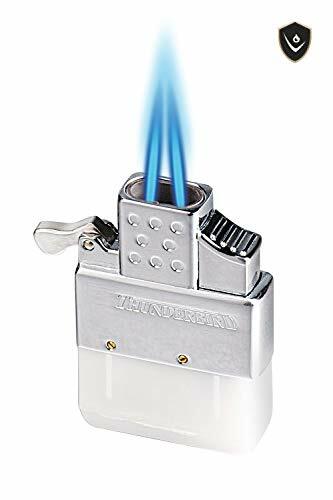 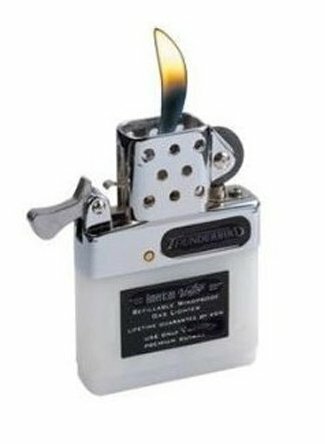 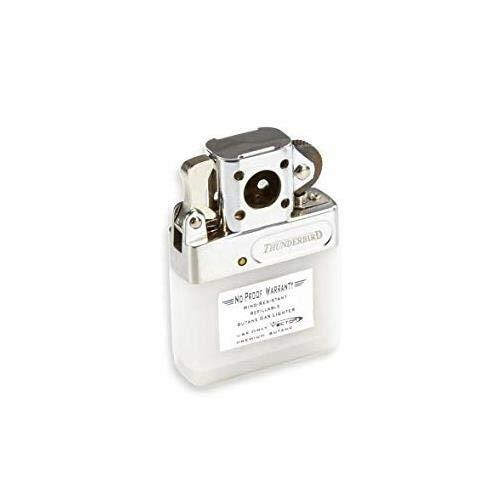 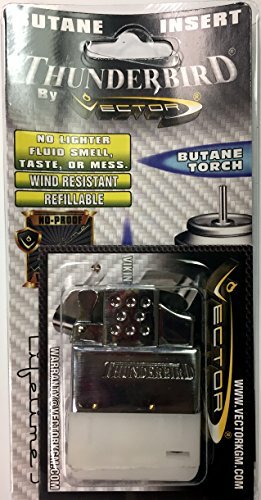 Thunderbird Butane Lighter Insert ***NEW DOUBLE TORCH***Butane Torch lighter insert for zippo and other flip top lighters.Clean burning butane, no more lighter fluid. 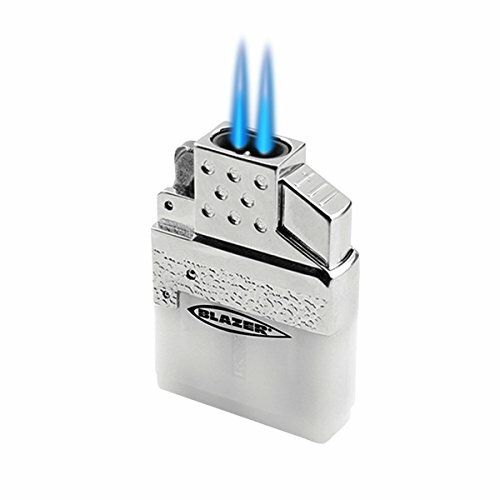 Electro quartz ignition, no more flints.Made by Vector/KGM and includes No Proof of Purchase Warranty Item Condition: New in plastic clamshell.